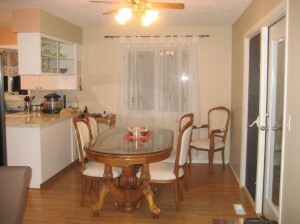 Great home in a quiet area close to shopping, transportation and schools. Three bedrooms up with a two bedroom in-law suite. Large detached shop with 100 amp service. Back yard access from side of home. Above ground pool and 3 patios. Fully fenced private yard. Many recent updates to the home including roof, siding, windows, 200 amp service and central A/C. $389,900. Click here to view all homes for sale in Kamloops.